It’s been a slow season for most anglers on the Wilson River. However, as far as the forecast goes for the rest of the steelhead season, I’m predicting we are going to see some big numbers over the next three weeks. We started the season with low, clear water. Fishing was still good, but not quite the numbers we’ve had in the past during January, due to the low water conditions. It’s simple. We didn’t have water in January and a bunch of fish didn’t come in. Now that we have water the fish are coming with it. I’m guessing the next few weeks will be really good. This year we’ll probably have fish through April. This isn’t me blowing smoke, either. Look at what’s happened this year. We had no water, followed by snow and ice and then extremely high water. When the water receded and the river came back into shape, as it did from February 19 to March 2, the fishing was very good on the Wilson, Kilchis, Trask and Nestucca Rivers. Now we are coming off of another high water situation. I expect there to be a wall of chrome waiting late this week. March is notoriously good, but I am also looking forward to the first couple weeks of April. 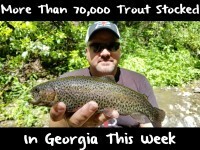 Lot’s of people don’t realize how many steelhead we get through mid April. And, crowds are gone, as most have gone “Springer Crazy” in the Willamette and Columbia Rivers. It’s a great time of year for me. Usually it’s t-shirt weather. While we’ve caught some nice steelhead this year, I haven’t had as many big ones on the Wilson. The numbers haven’t quiet been there like they were two years ago. Last year there wasn’t as many fish, but they were bigger. This year it’s been down, but I think that’s because of water conditions. That’s why I think with this water we have now there’s going to be a turnaround. If they don’t come in mass numbers the next few weeks maybe they aren’t coming, but I’m expecting them to be here. I’ve been running a lot of eggs. I’ve been running yarn and eggs or straight eggs. I would say stick to the Red or Orange BorX O Fire in higher water and as it gets clearer go to Natural. On the other hand, as it gets later in the season I like Natural more pretty much all the time. 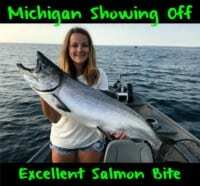 I feel that those downriver fish like a more natural egg. I’m doing a soak. I don’t cure eggs like most. In clear water I take my skeins and soak them in Natural Fire Brine. I know it sounds weird and a lot of guys don’t do this, but it works well for me. Also in my soak bucket I add sugar, Natural BorX O Fire and sometimes a little squirt of Red Nectar. The longer you leave them in there they’ll get harder, but I kind of like them softer, so I’ll leave them in there 24 hours. I don’t have a specific time. Normally, I drop them in the bucket after fishing and take them out the next day when I go to cure more eggs. By this time they are gummy and plump, but they are pretty gooey too. They aren’t wet, but they are gooey, which I like. I’ll do the same thing with red Fire Brine when the water is dirtier. I’ll use the Red BorX O Fire and Red Fire Brine. This gives me a red egg for higher, dirty water. If there’s color in the water I’ll use this egg. Editor’s Note: Big Dave Manners operates Big Dave’s Fishing. 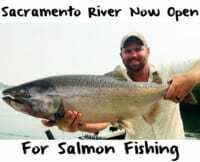 For more info on his spring Wilson River steelhead trips please visit. http://www.wilsonriverlodge.com/.